Hilary Davidson earned many an accolade for her debut novel, The Damage Done. She showed you could have a unique voice without being heavily stylized and showy. She brought a gritty feel and dark, complex psychology to the thriller. Her sequel, The Next One To Fall, proves she’ll be impressing us for some time to come. Her main character Lily Moore visits Peru with her friend Jesse, struggling to put the events from The Damage Done behind her. During a tour through Machu Pichu, Moore discovers a woman who was pushed from the top of the stairs. Before she dies she gives the name of her boyfriend. The man is linked to several dead women and soon Lily is mixed up with corrupt officials and a rich family who gives any Ross MacDonald clan a run for its money in terms of dysfunction. Once again, Davidson puts Lily in a world where few can be trusted. Davidson is a master at character. She skillfully ties the plot to having Lily confront what she’s running from. It’s exciting to watch her find her inner strength in her darkest moments. She understands that pace is more than moving through plot points and twists as fast as you can. She allows her characters to breath, such as in a wonderful passage where Jesse discusses his homosexuality and Christian faith. It’s Davidson’s play between light and dark that make her books so fresh and prove that she is an author to keep watching and reading. 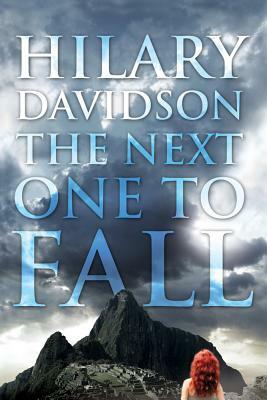 MysteryPeople welcomes Hilary Davidson to BookPeople to speak & sign The Next One to Fall on Saturday, February 18, 4pm. For all things crime fiction, make sure to visit MysteryPeople’s home on the web.